Abraham’s is proud to have become the exclusive direct importer of Jim Barry Wines in Malta, and on this occasion, we are presenting ‘The Jim Barry Master Class’. Join us on Saturday, 15th of September, 2018 for the Jim Barry Master Class, presented by the French Sommelier Wine Consultant Fabien Etienne. Jim Barry is a winery situated in Clare Valley, South Australia. 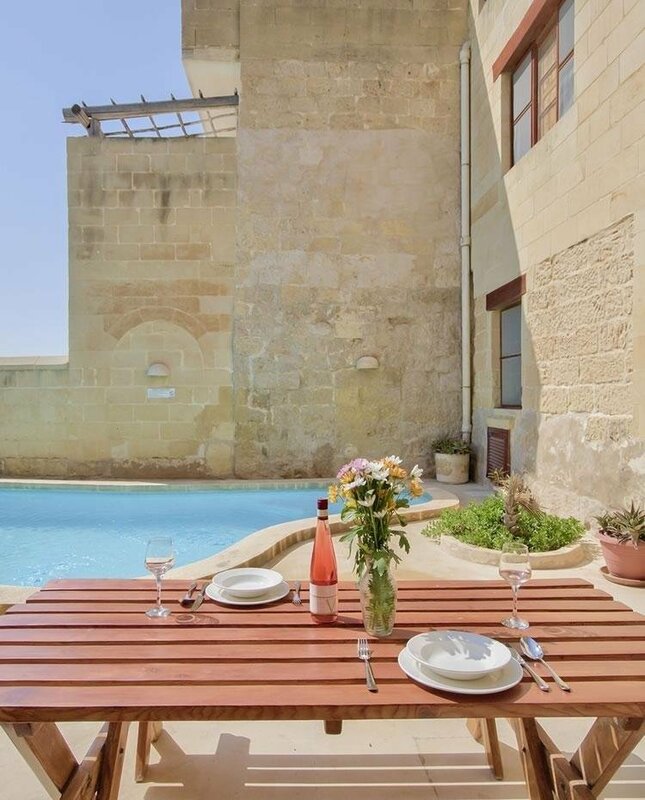 This region is well known for Riesling and for producing luscious red wines. Jim was the first qualified winemaker in this region and built up a reputation for producing wines of high quality. Today, Jim Barry produces unique wines and guarantees a legacy which will continue to grow around the globe. 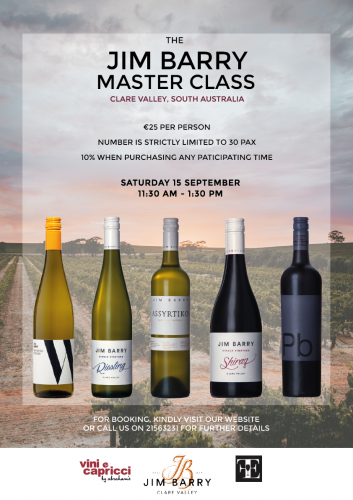 Discover and enjoy the exciting Watervale Riesling 2017, Single Vineyard Riesling 2017, Assyrtiko 2017, Single Vineyard Shiraz 2016 and Pb Shiraz Cabernet Sauvignon 2014, while also gaining knowledge about Jim Barry. The event starts at 11.30 AM sharp and the number is strictly limited to 30. Cost is €25, which will also include nibbles for you to enjoy. A 10% discount will be offered on the participating wines during this event.